Welcome! 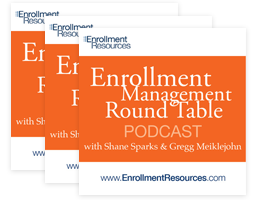 To listen to our latest podcast just enter your first name and email address in the fields above to get immediate access to Enrollment Resources’ training library. We have an archive of over 40 of our best podcasts and webinars, and it continues to grow. Feel free to share this with your staff as well! We will not share your name or spam you with emails and you can also easily opt-out anytime. You will receive occasional invites to future Best Practice Podcasts, typically every 4-6 weeks. And if you ever want a second opinion on a business issue, just pick up the phone and call 250-391-9494. We are always happy to help.